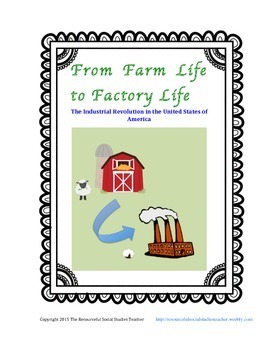 This article is intended to introduce the concept of textile mills and industrialization in the United States. It is set up in two column format. 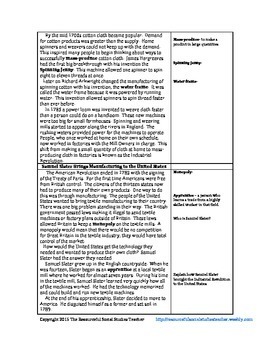 The article is on the left side of the paper and the column on the right side of the paper is for students to take notes on important information and answer the questions about the text. 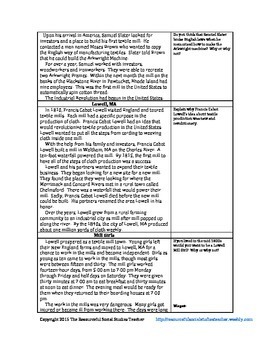 Some words are defined in the right hand column while other words require the students to use the context of the article to figure out the meaning of the words. This is a good activity to put into an interactive note book. Students can summarize information, identify main ideas and draw pictures or choose another way to interact and reflect on the text.